The Inline-Sampling-Valve Type CONTIFLOW with pressureless sampling at definable sample volume can also be equipped with sensor technology. During the process the flow is neither interrupted nor are there any particles disturbing the flow as is, for instance, the case with sampling valves. The sensor system automatically activates and controls the sampling with freely programmable sample volumes and/or cycles. 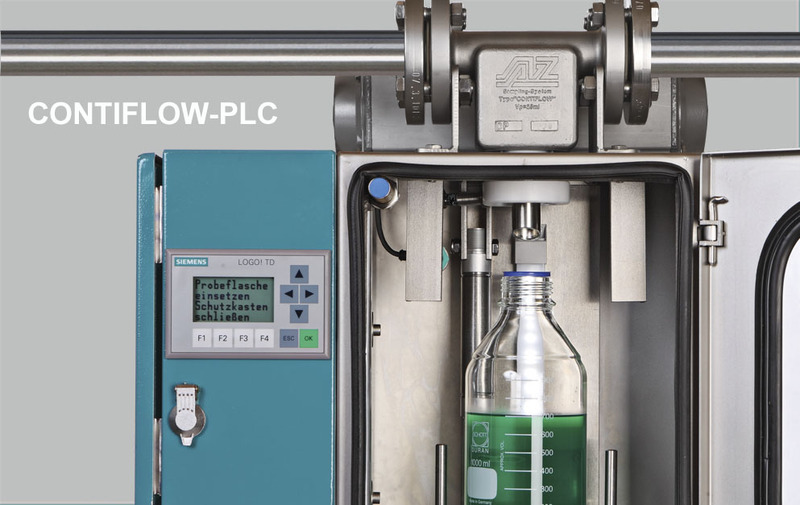 A sample level controller prevents the bottle from overfilling. The PLC-system can either be programmed manually or easily integrated within the existing control system.